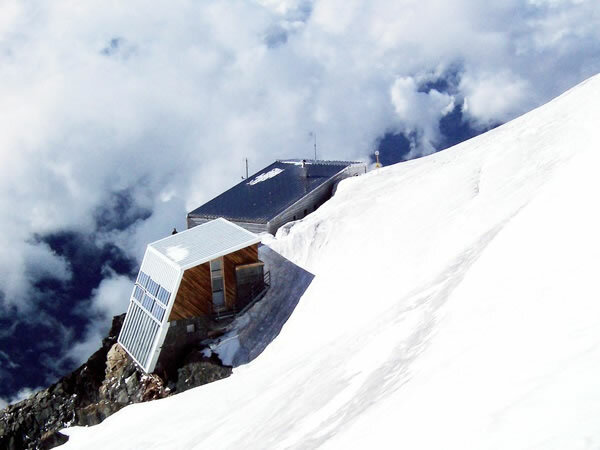 … the Goûter hut, which we reached at 5:30 pm, seven-and-a-half hours after we’d left the hut in the morning and set out for the summit. It had been a wonderful day. After the previous night’s storm, we’d had almost perfect weather during the day, and thankfully Eric’s, Caroline’s, and my timetable had been flexible enough to enable us to do a daytime climb. For the vast bulk of the time we spent on our summit bid, we saw no-one at all – not a soul – on the mountain. How fortunate can one be?